Although even the toughest cases may keep your phone scratch-free, they’re certainly not invincible, and if you’re as clumsy as us you end up working your way through them at a rather fast pace. 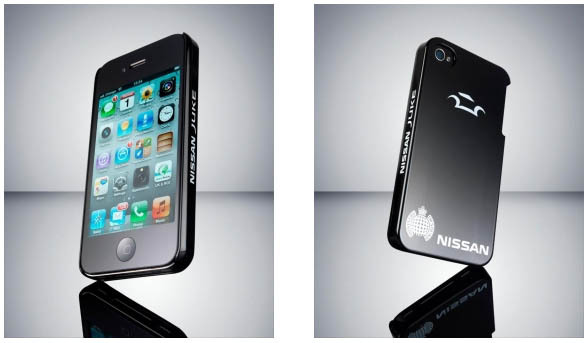 Well now Nissan aims to bring the clever paint technology it uses on some of its cars to a phone case near you, ensuring it stays in pristine condition and can even heal itself if it gets scratched. The special paint, called Scratch Shield paint, is able to repair any kinds of scratches (we assume this means small scratches and not a massive crack) on its surface within a matter of hours because it’s made from polyrotaxane, which reacts to any damage and fills in the gaps. This Scratch Shield paint has now been added to the exterior of a new iPhone case made from ABS plastic to protect it against scratches, scrapes and falls down the stairs (we’ve never done that, honest). It also makes the surface better to grip and hold on to as well. It may sound like some kind of device from the X-Men, but we imagine it’s a slow and limited process, meaning you can’t whack it with a hammer and expect it to magically reform straight away. However, it’s certainly very cool to see technology from the automative industry being used to keep our over-priced gadgets looking lovely.